Recorded in 1998 and spanning the deepest moments in House, jazz, dub, electronics, melody and soul, “First Floor” is, incredibly, almost 20 years old yet still sets the template for much of the dance-floor aesthetic of the modern era. 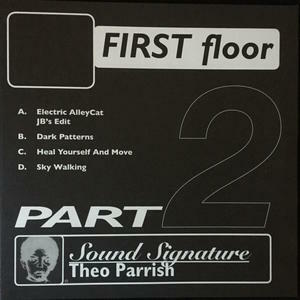 Parrish’s ingenious use of drum programming and effects add-ons tie each track together just the way a great DJ should. It's the next best thing to seeing him spin. Part 2 includes the “Heal Yourself And Move”, one of the deepest and most influential productions in a sprawling catalogue that's not short of classics.